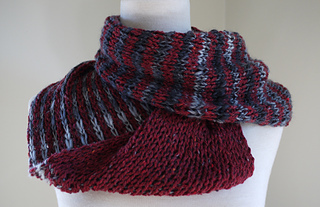 This is a reversible cowl that’s fun to work. It’s an easy form of double knitting without fuss! Size U9 (5.5mm) 16” or 20” circular knitting needles or size to obtain gauge.